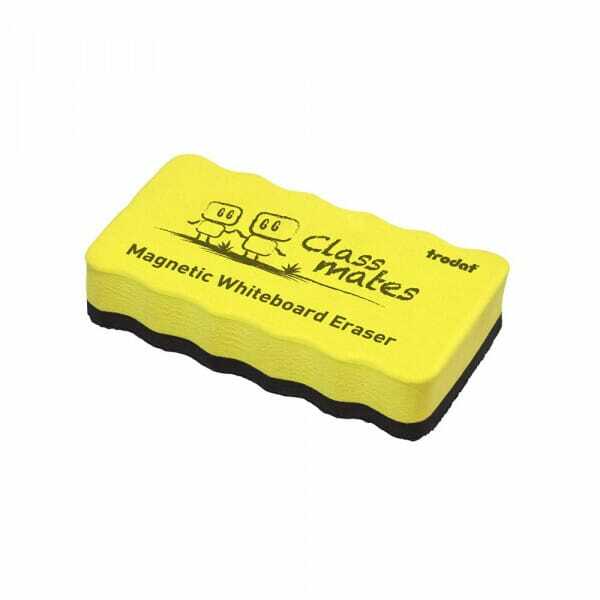 This yellow magnetic whiteboard eraser from Trodat is ideal to be used by teachers in the classroom. Due to it's magnetic properties it will stick to the whiteboard and it wipes away any marker ink with ease. This colourful whiteboard eraser with it's lively design complementing Trodat's Classmate Teacher Stamps range will brighten up the classroom. Customer evaluation for "Magnetic Whiteboard Eraser - Yellow"